Dive under the deep blue sea where you'll find fish to gobble, treasure to discover, and divers to save! 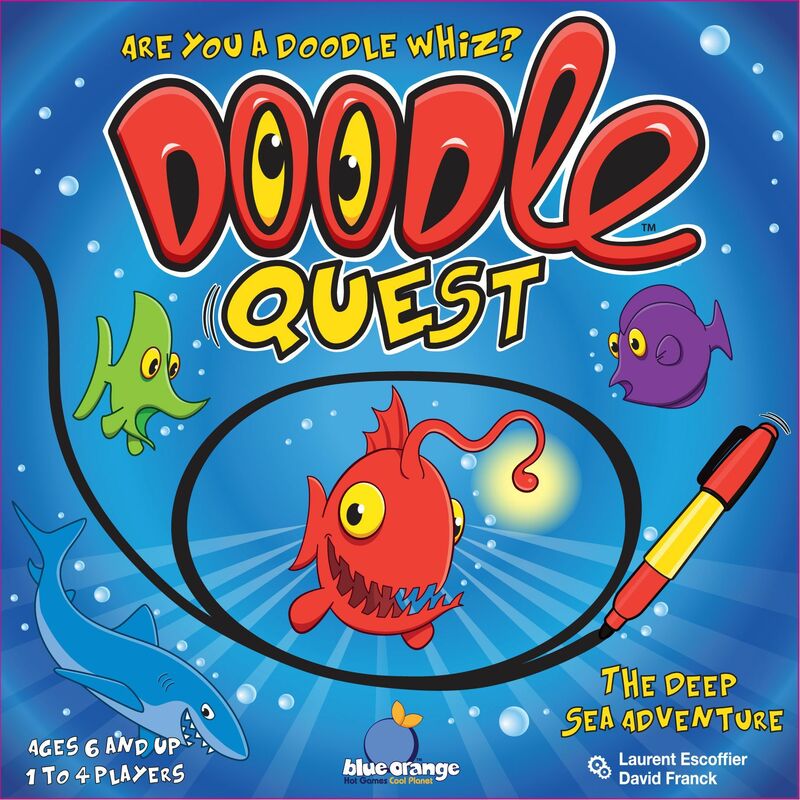 In the line-drawing game Doodle Quest, players study challenging quest cards, then try to replicate the depicted path(s) on their separate transparent doodle sheets. Once finished, the players place their doodle sheets on top of the quest card to see whether the drawings line up. Visit starfish for bonus points! Doodle Quest includes 36 illustrations with two different levels of play: beginning and advanced. Doodle Quest features the same basic gameplay as in Loony Quest, but has been developed differently by the publisher.